Forum Index > Off-topic Talk > Lever and Bolt action rifles durign XIX century. Posted: Thu 18 Jun, 2009 11:08 am Post subject: Lever and Bolt action rifles durign XIX century. The legendary Martini-Henry comes to mind first. The Dreyse needle gun is the only distinctively Prussian weapon I can think of but this is far out of my area of knowledge. if we are talking about the 1800's then there are a lot of great rifles to pick from. Depends on when and where. Winchester 94. a classic songs and movies have been written about the deeds done with that rifle. Marlins - another good rile that most people don't realize is as old as the Winchester. My marlin lever gun is one of my favorite (and most accurate) riles. lever action repeating rifles seem to be an American thing, and tied to cowboys. strengths: magazine, can fire multiple rounds before reloading- depending on what the rifle is chambered for it can hold between 5 and 15 rounds with around 10 being more typical. reliable, typically a fairly compact light weight design. the action can be fast to use. with some training a rifleman can empty their magazine with surprising speed and accuracy. With in 50 yards I could shoot a half-dollar off a coke bottle with my Marlin. at least be able to give a good show of it. cons: typically they use lower powered rounds. modern lever guns can shoot about anything but back in the day they were typically chambered in lower pressure, black power rounds. 30-30 and 44-40.
the famous Mauser 98 was developed in 1898. does that count as Prussian? Not sure of any true Prussian bolt action rifles. Those seem to be the most likely choices. Most other bolt action rifles (including the US 1903 Springfield) are copies of the Mauser. The Springfield is such a close copy the Springfield was sued by Mauser for patent violations, I believe they lost in a US court. Strenghts: Strong action reliable action. There is a reason most dangerous game rifles are bolt action rifles. Accurate - sniper rifles have typically been built from bolt actions for a reason. Typically use high pressure "modern" high velocity rifle rounds. Weaknesses: typically only holds five or less rounds (some like the SMLE hold 10). action can be a little slower than a lever action - a straight bolt may be faster but those never caught on. recoil - depends more on the round than the gun. a heavier gun can have less felt recoil. high pressure rounds can give a stronger sharper recoil. That should cover Bolt action and Lever action rifles or at least give a starting point. Needle rifle. Similar to bolt action but an older design that uses a long need to pierce a cloth sack with the powder and hits a primer that is at the base of the bullet. needle prone to rusting. black powder and mercuric primers are both leave corrosive residue. pump rifles similiar to lever action rifles. usally made by the same company never very popular in the US. I have heard they were popular in Austrailia. single shot rilfes: Sharps and Martini-Henry. Strong actions, can be accurate but only one shot. Sharps are known for large round shooting heavy bullets like the 45-70, 50-100 and the like, often used in extreme long range shooting, several hundred yards or more. the term sharpshooter comes from marksmen using the Sharps rifle in the American Civil War. Hopefully that is enough information for you. More info on it when I get home from work. From a friend who has shot out to 1000 yards with a sharps. "When shooting the sharps you can shoot, put the rifle down, take a swig of coffee pick up the binoculars just in time to watch the round hit the target"
I had forgotten about the Spencer rifle. Think that was one of the first repeating rifles and popular with the Calvary in the US Civil War. They would trade there muzzle loaders in for a Spencer any chance they could. Prussia became a part of the German Empire after 1871 so after that year the weapons were German rather than Prussian. The Bavarians used their own Werder rifle in the 1860's rather than adoptign the Dreyse but Werders 1869 design was not chosen as the new rifle for the Imperial German army and the Bavarians were rearmed with Mausers. The Martini is, of course, a dropping block single shot which happens to use a lever to open the action. I think what Rodolfo is asking about, given the second part of his question, is repeaters. I am not aware of any European maker of repeating lever guns in the 19th c. but am willing to learn. There were, as has been pointed out, quite a number of bolt action military rifles produced during that time frame. Joel, don't forget the 1886 Winchester lever gun. They were chambered in a wide range of heavy black powder cartridges like .45-70 and .45-90. These were black powder rounds but they were extremely powerful in their day, and still are. The 30-30, by the way, was never a blackpowder round. The 1895 Winchester was chambered in .405 Winchester among other cartridges and was taken to Africa by Teddy Roosevelt where it took a number of big game animals. Marlin made and still makes an excellent lever gun. In fact, they are one of the few companies in the US still making a lever gun. A lot of game has been taken with these fine rifles. .40-.60, .44-.60, .45-.75 and big boy .50-.90. Rod, nice Spencer, is it in .56-.50? Absolutely. There were many choices of cartridge in both those models and all of them were better than the .44 rimfire of the Model 66 and the .44-40 of the Model 73. 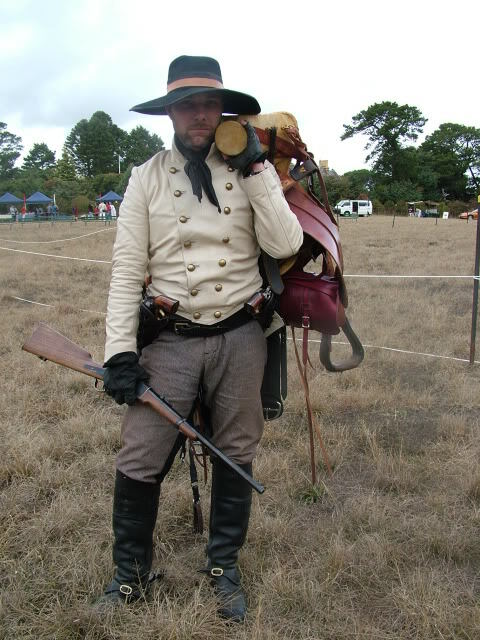 Thanks for your answers, i thought that before lever an bolt action rifles they were using muskets and such weapons. There was also the M1885 Remington Lee, 45-70 which was first produced by Sharps in 1879. Like the Krag which followed, it was a bolt action and utilized a box magazine. These rifles were the first to have a truly successful box mag design and were considered the most modern rifles of their time up until the French Lebel smokeless 8mm arrived on the world scene. The Remington Lee was eventually replaced by the Lee 1895 straight pull bolt action which is also know as the “Navy Lee” But the 1895 utilized a smokeless yet rather anemic 6mm rimless cartridge that could be fed from a stripper clip. These rifles were standard issue for the US Navy and Marine Corp during the Spanish American War and some even saw service during the Boxer Rebellion. It was eventually replaced by arguably the best military bolt action of all time, the 03 Springfield. I know I’m going to probably get crucified by Mauser lovers because I heard that “copied design” argument all the time. But the 03 Springfield by virtue of the wickedly versatile 30-06 and the rifles rugged reliability is and always will be, in my opinion the superior weapon. At the start of the American Civil the Springfield 1841 .69 cal smoothbore musket was the standard issue for the Union. The Springfield model 1861 and its variants was the standard issue long arm for the Union Army by the end of the war. The rifled musket was a big improvement over the older smoothbore but by today’s standards the .58 caliber mini ball still has all the trajectory characteristics of a slow pitch softball. Thanks Lin, learned a couple of new things. I wasn't aware that the 1886 was chambered in calibers up to .45-90. When I wrote that I figured there was some exception that I was missing. I was always told that the 30-30 was called that because it was a .30 caliber bullet over 30 grains of black powder. But you are right it is a 30 caliber bullet over 30 grains of smokeless powder (at least it was originally). As for the 1895 Winchester in .405. Yeah a big rifle chambered in a true DG round but I think the rifle looks ugly so I just didn't think about it. rifled musket i.e. the 1863 Zouave Rifle and others. That is by no means a comprehensive list but that should be a quick idea of the progression of what the army used. i think the Spencer was the only repeating lever action that was adopted by the US Army even if it was only in a limited capacity, it never replaced the muzzle loading rifle. Henry rifles were purchased by Union Soldier out of there own funds. Most were the spike type, think that's what they are called. There were some sword or knife bayonets. I think the Zouave had a sword bayonets. it's round, the .30-.40 against the Spanish Mauser's 7x57mm round which US troops called "the Spanish Hornet"
As long as we're talking about lever action rifles of the 19th century we should really not forget the Savage 1899 which was a firearm that was way ahead if its time in many ways and it and its successor were well respected hunting rifles well into the middle of the 20th century. I think that it has been pointed out that not too many lever action rifles (at least as I define the term) have ever been military standard issue. Actually, I think, that in a very small way the Savage is somewhat of an exception to that. I believe that Savage made and sold a really strange looking, long barreled, long stocked military version of the 1899 to a Quebec based military group (reserves of some sort, I think). I have to admit that to the best of my knowledge it never actually was used in any military conflict. Rifled firearms where around from the 16th century, and where always the choise for accuracy. However, they where slower to load, as the lead ball would have to be rammed down the bore. A breach loading firearm would eliminate this problem, and let the shooter load without having to move the gun around as much. However, the manefacturing technologies of the early modern age was simply not accurate enough to produce a reliable breechloader untill the 1840s. The US army adopte the Hall in 1819, but the design was discontinued for simpler, more reliable muzzleloaders. Of the sucsessfull designs the most well know where the prussian Dreyse "needlegun" introduced in the 1840s. These use a blot to close the breech, but are not "bolt action" as such; They are single shot breech loaders, using a paper cartridge, with the ignition cap at the base of the bullet. The firing long pin, or needle, pushed through the cartridge. Meanwhile, the Minié sytem was introduced as a easy way to allow fast muzzle loading of rifles. In short, it featured a hollow conical bullet that expanded to take the rifling when struck with the ramrod. This notably saw service in the american civil war. The metal cartridge, introduced in the late 1850s, would soon take over, however. At first these where relatively low powered rimfire rounds, used in the Henry and Spencer carabines, for instance. Hello guys, thanks for your answers. Do you know if any soldier ever used any lever action (Specially during the Civil War), or were those rifles used mostly for hunting?